Check-in or Check-out anytime as long as the lobby is open 7am-7pm Monday–Friday and 7am-6pm Saturday–Sunday. It is optimum for your dog to check-in before 4pm so he/she has time to acclimate before bed time. First, your dog must come for an evaluation, only if attending dog day care. Call the Concierge to schedule 818-889-PETS (7387). 1. Your dog is friendly with people and other dogs. 2. Adjusts well to the environment. 3. Shows no aggression towards other dogs. 4. Is able to rest or settle down. It is also ideal that your dog does not guard toys, comes when called and is easy to lead. Paw Hills reserves the right to refuse admittance to any pet guest for any reason, at any time, who lacks proof of vaccinations, displays signs of untreated or potentially contagious conditions, demonstrates aggressive behavior, or who fails our standard health and temperament policies. Be sure to apply the proper flea medication within the past 30 days and at least two days prior to boarding (so if using liquid its not still a wet spot on the neck- this is toxic, if other dogs were to lick it). We know that your dog is a member of your family so we treat them and care for them as one of our own. A happy dog is a happy community here, so we want to make sure that your dog is comfortable and content throughout the stay. As for the humans, we wouldn’t wanted you to stress or worry about leaving your dog either. We offer photo updates via email. At Paw Hills we pride ourselves on our high level of communication and promise to return any messages within 24 hours. You are welcome to call the Concierge during lobby hours to check-in on your dog(s) throughout the stay. The dogs are loved all day, everyday and most importantly never left unattended. We do not accept puppies in day care who are older than 7 months old that have not yet been spayed or neutered. All you need to bring is your dog, food, and any needed medicine. You may bring a small blanket for scent if you like. 1. Bring food in baggies: one AM baggie and one PM baggie with dog’s name labeled on it with a marker. 2. Label each can of wet food with dog’s name and measurement with a marker. Treats are okay to bring and will be given to the pets individually so that they cannot become competitive for them. Please package treats in your AM and PM baggies. IMPORTANT NOTE: All important prescription medications such as: antiobiotics, chemo, pain killers, etc. must be in prescription bottles with Doctor’s Name & Phone Number, Dog’s Name, Dosage and Instructions on each label as typed up from your veterinarian’s office. The Concierge will add your dog to our Special Care Program which means your dog is individually administered his/her medication for each dosage. We expect that your pup is current on Rabies with 1 or 3 year vaccine, Bordatella with a 6 month or 1 year and DHLPP with a 1 or 3 year. You will need to provide us with a copy or have your vet fax it to us at 818-889-7383. If you are vaccinating prior to boarding, your pet must be vaccinated by a licensed veterinarian 48 hours prior to attending Paw Hills in case of an allergic reaction. We prefer vaccinations are given 10 days in advance to their stay with us. No dogs shall be permitted to wear any type of collar, harness, or clothing during day camp. Your collar, leash, carrier or any other not permitted items will be returned to you at check-in. You may bring a small blanket for scent if you like. NO Beds, NO Toys, NO Bones. Some items will be approved upon special request. We have everything your pets will need. We have plenty of nice clean pet beds. Bones are not allowed because they are a choking hazard and dogs can become territorial over their bones. We do work with the dogs and encourage them to share. Peak season and holiday day rates apply. Our cancellation policy also applies so call ahead for rates and availability. Additional charges apply for transportation, grooming and training. Check-in or Check-out anytime as long as the lobby is open 7am-7pm Monday-Friday and 7am-6pm Saturday-Sunday. It is optimum for your cat to check-in before 4pm so he/she has time to acclimate before bed time. First, your cat must come for an evaluation, if attending Kitty Club. 1. Your cat is friendly with people and other cats. 3. Shows no aggression towards other cats. It is also ideal that your cat does not guard toys, that he/she is easy to catch and to handle. Paw Hills reserves the right to refuse admittance to any pet guest for any reason, at any time, who lacks proof of vaccinations, displays signs of untreated or potentially contagious conditions, demonstrates aggressive behavior, or who fails our standard health and temperament policies. Be sure to apply the proper flea medication within the past 30 days and at least two days prior to boarding (so if using liquid its not still a wet spot on the neck- this is toxic, if other cat were to lick it). We know that your cat is a member of your family so we treat them and care for them as one of our own. A happy cat is a happy community here, so we want to make sure that your cat is comfortable and content throughout the stay. As for the humans, we wouldn’t wanted you to stress or worry about leaving your cat either. We offer photo updates via email. At Paw Hills we pride ourselves on our high level of communication and promise to return any messages within 24 hours. You are welcome to call the Concierge during lobby hours to check-in on your cat(s) throughout the stay. All pets are loved all day, everyday and most importantly never left unattended. We do not accept cats in kitty club who are older than 7 months old that have not yet been spayed or neutered. All you need to bring is your cat, food, and any needed medicine. You may bring a small blanket for scent if you like. We know that your cat is a member of your family so we treat them and care for them as one of our own. A happy cat is a happy community here, so we want to make sure that your cat is comfortable and content throughout the stay. As for the humans, we wouldn’t wanted you to stress or worry about leaving your cat either. We offer photo updates via text/email. We are in good communication and you are welcome to call the Concierge to check-in throughout the stay. The cats are loved all day, everyday and most importantly, they are supervised. We do not accept cats in cat social club who are older than 7 months old that have not yet been spayed or neutered. 1. Bring food in baggies: one AM baggie and one PM baggie with cat’s name labeled on it with a marker. 2. Label each can of wet food with cat’s name and measurement with a marker. Treats are okay to bring and will be given to the pets individually so that they cannot become competitive for them. Please package treats in a separate baggie with the name(s) labeled as well. IMPORTANT NOTE: All important prescription medications such as: antiobiotics, chemo, pain killers, insulin, etc. must be in prescription bottles with Doctor’s Name & Phone Number, Cat’s Name, Dosage and Instructions on each label as typed up from your veterinarian’s office. The Concierge will add your cat to our Special Care Program which means your cat is individually administered his/her medication for each dosage by our professional staff. We require that your cat is current on FVRCP and Rabies with a 1 or 3 year vaccine. You will need to provide us with a copy or have your vet fax it to us at 818-889-7383. If you are vaccinating prior to boarding, they must be given 48 hours by a licensed veterinarian prior to attending Paw Hills in case of an allergic reaction. We prefer vaccinations are given 10 days in prior to their stay with us. No cats shall be permitted to wear any type of collar, harness, or clothing during their stay. 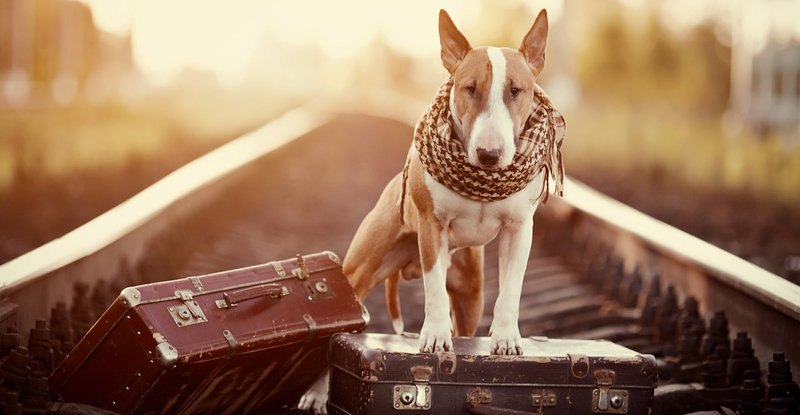 Your collar, leash, carrier or any other unpermitted items will be returned to you at check-in. Additional charges apply for transportation, grooming and meals from our home cooked made to order organic menu which you can select from our Menu when checking-in at the Concierge.